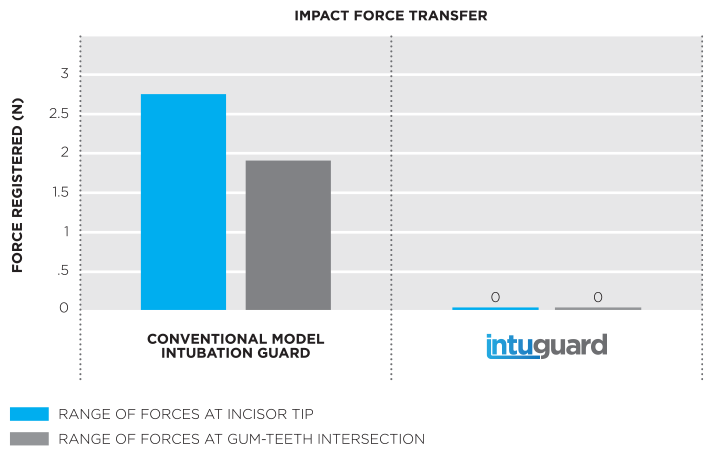 Intuguard: Intubation Mouthguard – Protect their teeth first. Dental injuries during intubations and trans-oral procedures, e.g. endoscopic surgeries, are the primary medico-legal issue for anesthesiologists and hospitals. With 23 million intubations/year in the USA resulting in 500,000 dental injuries, the legal cost for hospitals and anesthesiologists is on average $60,000/case. The result: a $50 billion liability. Any dental injury (crack, fracture, avulsion) often results in a dead tooth ten years down the road and, in turn, a dental implant is required. The American Dental Association (ADA) has calculated a life-time cost for a dental injury of $15,000-$20,000. Currently, dental guards are available in every anesthesia cart in the country, but are made of a relatively soft polymer (EVA) that does not resist any significant pressure. Furthermore, MDA’s and CRNA’s are reluctant to use these guards because of poor compliance and movement during intubations or surgical manipulations. 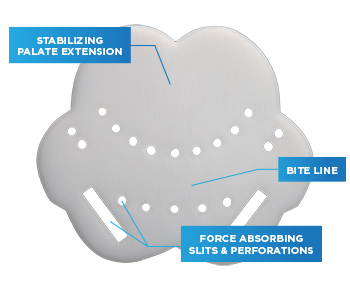 Introducing Intuguard™…An individually fitted guard that is ultra thin, but ultra strong at the same time. Made of a non-compressible thermoplastic polymer, Intuguard can be fit in minutes, either by the patient at home before surgery, or in pre-op by the staff. Intuguard is a simple, proven solution designed and engineered to protect their teeth in every intubation and surgical situation. Intuguard™ is a patented solution that was developed at Akervall Technologies Inc., Saline MI, under a grant from the National Science Foundation by Dr. Jan Akervall M.D., Ph.D. (top 1% ENT physician in the USA) and Professor Johannes Schwank, Ph.D. (world-renowned chemical engineer at the University of Michigan). Use of a thin, tough polymer that does not cave in or break. Simple, fast, individual custom fitting. Elimination of force transfer to teeth from instruments by force absorption (slits and perforations) and force dissipation (non-compressible polymer matrix). Under the NSF SBIR Phase II grant, 25 Intuguard prototypes were carefully tested (the top 4 candidates are presented in the graph). 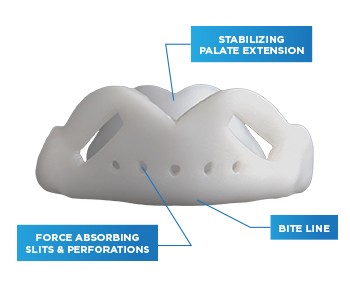 Engineered to significantly decrease force with the use of dissipating slits and perforations (proven efficient in SISU™ sports guards), and designed with a palate extension to stabilize the guard during lateral force impact from instruments, Intuguard is revolutionizing oral intubation protection. The Intuguard™ fitting process is simple. Just follow the steps below to get a perfect, custom fit. Wash your hands and Intuguard™ with soap and water. Heat water in a small bowl until hot to the touch (140°F / 60°C). 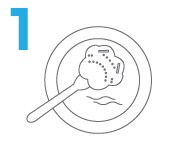 Place Intuguard™ into the hot water until soft and pliable (use utensil to determine softness). Hold the guard in place using your teeth and tongue. With your fingers, fold the guard straight up. 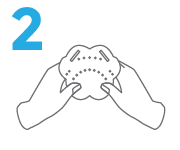 Be sure to mold the guard on the front and sides of your teeth to create a solid shield. Once soft, use the utensil to carefully lift Intuguard™ out of the water. DO NOT let the softened guard fold on itself – the material will glue together, making it difficult to reshape. Close your lips over the guard and gently create suction until the material has hardened to a snug, perfect fit. Allow the guard to remain in the mouth for approximately 3 minutes. Balancing the pliable guard with your thumbs, lean in toward the mirror and open your mouth wide. 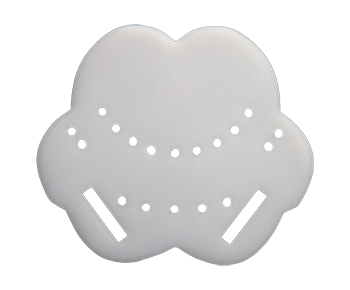 Using a mirror, insert Intuguard™ and bite down gently on the bite pad in the middle of the guard. Congrats! You’ve successfully fitted Intuguard™. 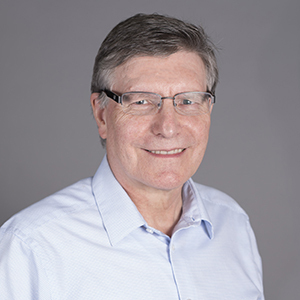 Dr Jan Akervall, MD, PhD, graduated from Lund Medical School in 1990, became ENT specialist and PhD in Head and Neck Cancer biology in 1998. He completed a two year fellowship in Head and Neck Oncologic surgery and microvascular reconstructions at University of Michigan 2000-2001, after which he became Associate Professor and Director for Head an Neck Cancer care in southern Sweden. He and his family moved to Ann Arbor, Michigan in 2004 when he became Medical Director for The Multidisciplinary Head and Neck Cancer program at Beaumont Hospital in Royal Oak, MI. He then continued on to become the founding Director of the Beaumont Biobank in 2006 and founded Great Lakes Biorepository Research Network in 2012. Dr Akervall became Professor in Otolaryngology/ Head and Neck Surgery at Oakland University William Beaumont School of Medicine in 2012 and Medical Director for The Multidisciplinary Head and Neck Cancer Program at St. Joseph Mercy in 2013. 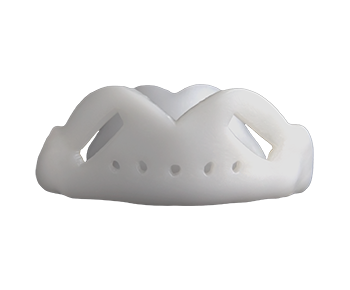 Dr Akervall invented the SISU Mouthguard for sports and the SOVA Night Guard in 2008 and founded Akervall Technologies Inc. the year after. Dr. Akervall has 5 patents and was the recipient of the prestigious Edison Award in 2018. 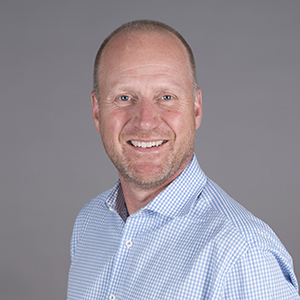 Johannes Schwank, PhD, co-founder and Chief Science Officer of Akervall Technologies, Inc., holds the James and Judith Street Endowed Chair Professorship in the Chemical Engineering Department at the University of Michigan. He has served for several years as director of EMAL, the University’s materials characterization facility. He oversees a large research program exploring structure-performance relationships in catalysts, sensors, nanomaterials, and polymers. The results of his research have been published in over 200 peer-reviewed articles. © 2017 AKERVALL TECHNOLOGIES INC.